I have been thinking of getting a hair cut and thought I would share a bit of the advice I have been given. Changing your hairstyle can be scary. You don’t know if it’ll work or not. There’s always the chance that you’ll get home and look in the mirror, only to find that you hate it, then you’re going to be stuck with it for months until you can grow it out again. We’ve all had disasters in the past, and it’s probably because most of us aren’t sure how to choose a style that suits us. It’s all about the shape of your face. Choosing a style that fits your face shape is the key to making it look good, if you pick something that doesn’t fit, then it will end up looking out of place. These guidelines should help you to avoid any bad decisions in the future. How Do I Know What Shape My Face Is? Most people haven’t really considered the shape of their own face at length. It’s hard to know which category you fall into a lot of the time. It’s going to feel a bit stupid, but the only way to find out for sure what shape you are is to break out a ruler and take some measurements in the mirror. You need to measure your brow, cheekbones, jawline and the length from forehead to chin. Write down all of the measurements and compare them, the various combinations will give you a good idea of what shape your face is. Round Face: If your face is about the same width and length, and curves at the chin and the forehead, then you have a round face. 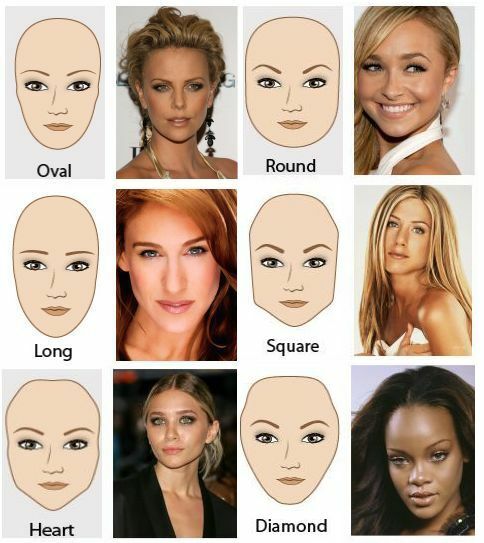 Oval Face: If the width of your brow, cheekbones, and your jaw are all pretty much the same, you have an oval shaped face. Heart Shaped Face: If your brow is quite wide, but your jawline is narrow, you are likely to have a heart shaped face. Square Face: Lastly, if all of the measurements are very similar then you have a square shaped face. Each of these different face shapes suits separate hairstyles and any crossover could end up looking wrong. If you want to look good on a night out, you need to get it right. So, now you’ve worked out what category you fit into, which hairstyles are best for you? For anybody that has a round face and wants a shorter hairstyle, go for a Gamine with spikes. It’s fairly easy to maintain and looks great on anybody with a round face as it adds length to your face. Having said that, anybody with curly hair should probably steer clear. Having such a short style with curly hair can leave you looking a bit like a poodle. If you prefer something a bit longer, then look at having a bob. Don’t go for the traditional short bob, try a slightly longer one that hits the shoulders slightly. It’ll break up the chin area and avoid curling under your jaw, which can accent the round look of your face. Any longer styles on people with a rounder face can be risky. It might be worth trying some Brazilian hair extensions to get an idea of what it will look like before you decide to grow it out. If you are going to go for it, you need to make use of fairly thin layers. 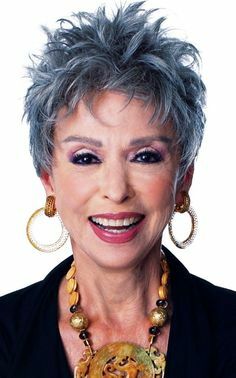 This will add volume to the hair without making your head look large. If the layers are too thick, hair will bunch around your cheeks and add volume in all the wrong places. Short styles that fit a heart shaped face are similar to a rounder face. 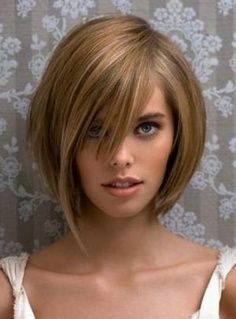 The short pixie cut works here as well, but it needs to be thinner on the top or it can look top heavy. A crop that falls around the collarbone is the perfect choice for a medium length style to fit a heart shaped face. It adds balance around the chin area without adding too much weight to the top of the head. It works well for hair with medium volume but if you have particularly big or curly hair then maybe give it a miss otherwise you’ll have too much weight on top. The oval face is perfect for a classic bob that hugs your chin tightly. It’s a tried and tested style that you can’t really go wrong with. If you have springy curls, add a few extra inches of length so they hang at the right height. A blowdry that sits at around shoulder height is great for a medium length cut. If you have very fine hair, layer it unevenly to make it look a little bit fuller. The bob works well with a square face as well, but it needs to be paired with a subtle fringe to give more shape to the face. Any frizzy bits need to be straightened, otherwise, they’ll puff right out and it won’t look great. Light layers all round, coupled with a sweeping fringe look great for a medium length cut to suit a square shaped face. The layers will work to add volume to any hair type. You can go for whatever style you want and makes you feel good at the end of the day because you're awesome but I hope these tips helped a little. Are you getting a hair cut soon? My problem with these kind of "rules" is that it's mostly just avoiding making your face look fatter.